"Crossover success." "The soundtrack to social progression." Undeniably one of the decade’s most dynamic artists — Y-Love. Y-Love (Yitz Jordan) has made a name for himself as a hip-hop artist, multicultural educator, conflict resolver, fashionista, activist for social change, and political pundit — all in six short years. When Y-Love (Yitz Jordan) released his first mixtape in 2005, the world took note of the first African-American Orthodox hip-hop artist. Now, the first artist to come out of the closet before an album release, with his hotly anticipated EP See Me, (produced by Diwon) which debuted as a "New and Noteworthy Release" on the front page of iTunes Hip Hop, Y-Love is leading a new era of "global hip-hop" — where global social consciousness combines with pounding rhythms. The club-friendly tracks are influenced as much by rap vet Chuck D as by new artists like Major Lazer & Nicki Minaj. 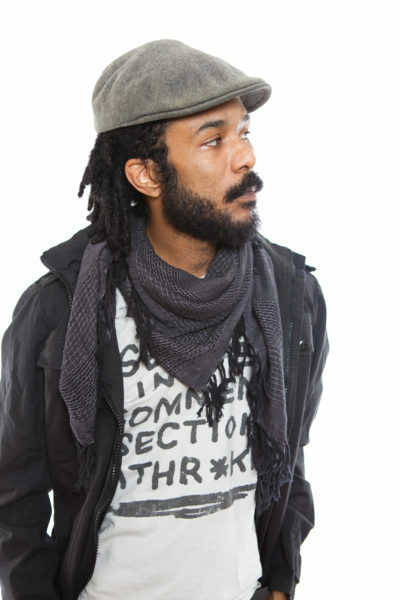 Y-Love explores a variety of new styles on the album, from dance to hip-hop to pop, channeling each one to express his underlying anti-prejudice message: “Unity builds the world, all divisions destroy the world.” Y-Love keeps his songs ready for the mainstream while still pushing positive and constructive energy in his signature multi-lingual style — "making hip-hop kosher," as XXL said. With the release of See Me, Y-Love is bringing the revolution to a world often content with blind misdirection. Y-Love’s compelling personality, inspirational lifestory, and multilingual musical talents have received worldwide acclaim from New York to Ukraine. An Orthodox Jew for nine years, Yitz’s unique perspectives on Jewish identity and cross-cultural relations have captivated minds at schools, theatres, and various houses of worship worldwide. His unique musical style, blending holy tongues such as ancient Aramaic and Hebrew, Arabic, Yiddish and Latin over ethnic and futuristic urban beats, was called the "soundtrack to social progression" by URB Magazine. Before Shyne became religious and Drake started making hip hop, Y-Love took the world by storm blending Kabbalah and Talmud in Aramaic at clubs in New York. He went on to gain worldwide praise with his first album This is Babylon which propelled him to appearances from BBC World TV to Late Night with Conan O’Brien. The world’s first black "Jewish MC", Y-Love has featured his compelling perspective in hundreds of publications, including USA Today, XXL Magazine, The Australian and Italy’s La Repubblica.